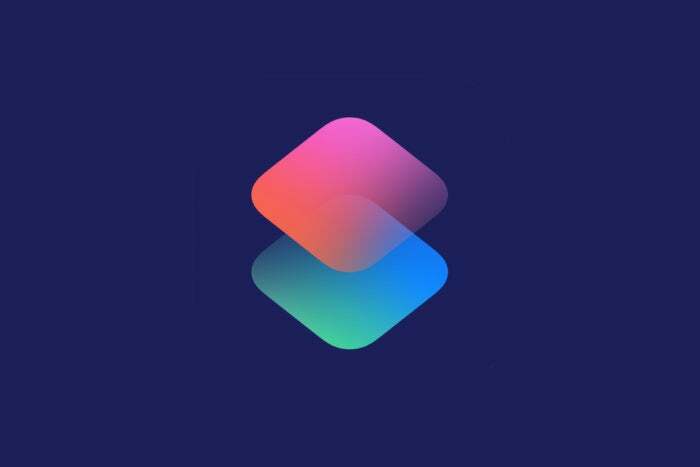 With Apple now seen as the future of enterprise mobility, I’ve put together a short collection of Siri Shortcuts that may make you more productive. As you can see, I’ve included the workflow used in some (though not all) of these to demonstrate how to build these things. Had a great idea? Ever experience one of those "Eureka" moments when the best strategic approach to a complex problem hits you as you climb aboard a train? Need to remember to order a birthday present for the kids? Never fear — as long as you’ve defined an address inside this little shortcut (and give Shortcuts access to your reminders) this will keep things moving forward right. Get this one here. This is an incredibly useful shortcut if you are trying to create a meeting. Use it, and you can select a date, get available times on that date, and share it using email, Messages, AirDrop, and more. This should make it easier for whoever is calling the meeting to fix the best available time for all potential participants. Do make sure to check the extensive series of workflow decisions that make this shortcut possible, as while it seems confusing at first, just analyzing how they work will help you build (and modify) your own sets. Download this useful little shortcut here. If the person you are making a connection with also uses an iOS device, you can use AirDrop Business Card to share your contact details with them. You will need to choose your Contact card the first time you run this. I suggest creating a limited card for your business contact details and using that. This handy shortcut will scan your receipts/documents and then let you choose which folder to save them into on both iCloud and Dropbox. This is great if you run multiple projects/businesses and need to keep things filed appropriately. It’s an extensive Shortcut that you can download here. Once you do download it, be sure to review the Actions included within it, as not only can you tweak these for your use, but you can also learn how to build your own multi-step actions. Apple’s Siri Shortcuts offers a tool that lets you reverse-search an image using Google images. Once you add it to your Siri Shortcuts Library, you use it like this: With the image open on your device, tap Share> Shortcuts and select the Image Search shortcut in the list you’ll find. The widget will scout around to see if the picture is used elsewhere. For my Siri phrase, I actually used “Reverse image search” and changed the name of the Shortcut item, too. Get it here. I like this little Shortcut. Highlight some text, tap Share, select Shortcuts, and tap the Search On item in your collection. You can then choose which service you want to search for that item on: Google, YouTube, IMDB, Twitter, Facebook, Instagram, Google Image Search, and Reddit are all supported. Add a spoken word Siri shortcut to this, and all you’ll need to do when you come across something you want to search for is select it and tell Siri “Search On”. Boom. Get this one here. Here’s a quick way to save the text of an article you find online to a Note. This shortcut reads the URL and tries to get the text, which it then places in a Note. It was created by Andrew Orr at MacObserver, and you can grab it here. Perhaps you can help me? I’m attempting to build my own little shortcut to swap files between iCloud and Dropbox, but I think what I’ve made so far could be a little more elegant (suggestions please). It seems to work, though, you will need to give Dropbox permissions first. Save File>Service iCloud Drive, toggle Ask Where to Save to on. You can build two shortcuts: one to open Apple Maps destination in Google Maps and another for the reverse path. This is especially useful if you’re on the road, as you can create a voice command to make this action happen — which can come in handy if you need to check alternative directions to where you want to go or want to use Apple Maps' promised capability of getting you to the correct entrance to your destination. Instructions are here. This one is causing all kinds of consternation. The way I see it is that it could help prevent egregious abuses of power, which should be good for everyone. What the Shortcut does: If you are pulled over while driving, the shortcut pauses the music, switches on your selfie camera and starts recording video. It also turns the brightness down, switches on Do Not Disturb, and sends a video of the encounter to a contact you have already pre-defined. You can get hold of this Shortcut here. As well as my advice, Apple offers an extensive gallery of shortcuts within the Shortcuts app itself. There is also a thriving cottage industry of sharing spaces where people are sharing their own: Shortcuts subreddit and Sharecuts website seem to be two of the most popular sharing sites, though I’ve also found some interesting examples at the Shortcuts Gallery. As you get more involved in creating your own Shortcuts, you’ll soon find you can extend the capabilities of which apps are supported by Siri Shortcuts using things like IFTT, Opener, or Zapier. Want more information? Here’s Apple’s Shortcuts User Guide.